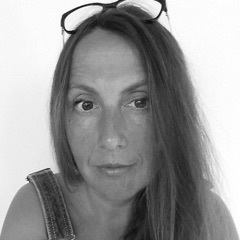 Nina has worked in performing arts for 20 years as a director, writer, conceptualist and curator. Themes such as marginalisation, the female gaze and power figure in her work. She works with site-sensitive awareness and explores ways of meeting audiences. Her work is often internationally based. Currently she is the artistic director of the Oops Festival, Roskilde, writer/ director in the Nordic Normal Cake, Please project and an artist in residence with TeaterKUNST in Kokkedal. Nina's work has included theatre, contemporary circus, youth theatre in the institutional and independent circuit. A strong need to challenge classical conventions led her to take on the job as artistic director of the company TeaterKUNST (2004-2012), where she created contemporary performances that sought dialogue with the surroundings and the audience. She was also a founding member of the European Performing Arts Platform the @work network (2005-2011) and founded the Nordic gender equality project No More Miss Nice Guy (2011-2012). Nina's work has been presented at the Edinburgh Festival (2006) at the Travers Theatre, in Sophiensæle, Berlin (2009), New Theatre Festival Riga (2009), Baltic Circle Helsinki (2009 & 2012) and CINARS Montreal (2009) and the Culture Capitals of Turku (2011), Riga (2014) and Pafos (2017). She was spokesperson of the Independent Performing Artists (US), artistic director of the Images Festival 2010, and has coordinated seminars and performances for KIT and Theatre Republique and others.